NSFA, Panacan, Davao City - Eastern Mindanao Command (EMC) has noted that the surrender of NPA rebels remains to be the main activity of NPA neutralization during the first month of the year. This was reflected in a briefing made by MGen. Felimon T. Santos Jr., Commander of Eastern Mindanao Command to the AFP Chief of Staff, Gen. Benjamin Madrigal Jr. during the latter's visit at the Headquarters EMC here on February 5, 2019. 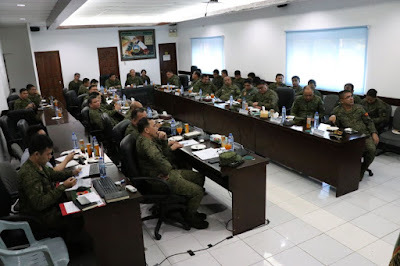 The EMC Commander, in his report, accounted 37 NPA regular members and 26 members of the Militiang Bayan who surrendered from January 1-31, 2019, in the whole area of EMC, bringing along with them 33 assorted firearms. Additionally, MGen. 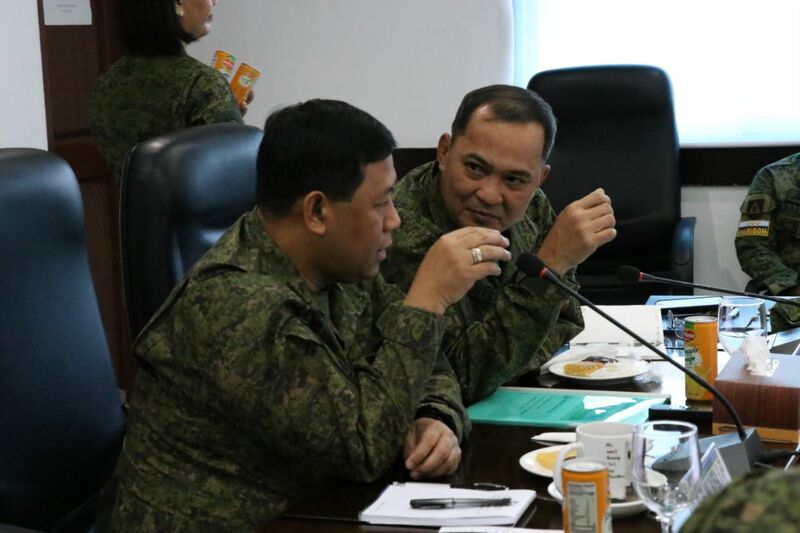 Santos' report reflected that the troops figured in 20 encounters where nine NPA regulars were killed and three others were arrested, leading to the capture of 25 various firearms. During the conference, the Commander vowed to sustain the pressure against the terrorist group and operational gains of EMC. He also reechoed to all units through a directive to continue the effort in peace constituency building and harness the support of other agencies through the Executive Order 70 to address the socio-economic dimension of the insurgency. "We shall take advantage of the operational gains of the Command in building conflict resilient communities. 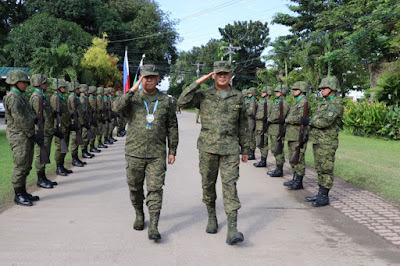 While we continue to eliminate the threat of armed conflict, we should work an extra mile to prepare our communities in a post-conflict scenario to cut the cycle of insurgency in our area of responsibility once and for all and contribute to the overall objective of the PRRD to bring sustainable peace in the country," MGen Santos said. The visit of the CSAFP Gen. Benjamin Madrigal Jr., meanwhile, was part of his situational assessment and way of issuing operational guidance in peace and security efforts of the AFP.